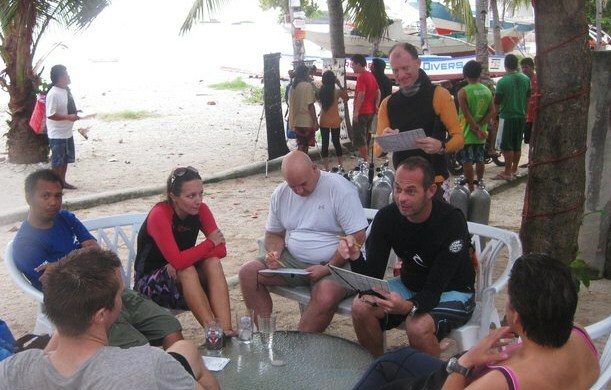 So you’ve decided to become a PADI Open Water SCUBA Instructor ! Well, it must be time to start studying then ! But what should you study ? 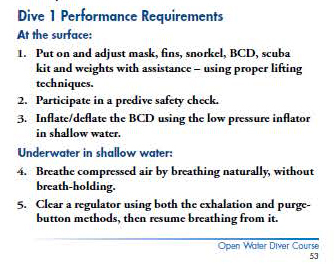 You will be expected to arrive at the beginning of your IDC programme already well-versed in dive theory. At some point during the IDC, and again at the IE, you will have to pass the dive theory exams. You will examined on Physics, Physiology, The RDP & Decompression Theory, Equipment and Dive Skills & The Environment. These subjects are touched upon during the PADI Divemaster course, but to become an instructor, you need to take your knowledge of these subjects to a higher level. PADI’s Diving Knowledge Workbook is an excellent study tool for this. The workbook is split into the five sections, and guides you to read specific sections of PADI’s Encyclopaedia Of Recreational Diving before tackling questions on that area of the theory. You can also visit the Go Pro In Paradise website and check out the useful ‘study tools‘ section. Here you will find downloadable revision notes for each of the five dive theory subjects. You will also find links to three videos there. The videos are there to help you learn the three knots that you will also be expected to know prior to the start of your PADI IDC programme (the same three you learnt during your PADI Divemaster course…). In a couple of days time our 3 new PADI IDC candidates, Jo, Max and Ant will be entering the IDC Classroom to start their five-day IDC Prep Course before the main event starts in ernest. On the 28th and 29th of October they will take on the PADI Instructor Exam being held on Malapascua Island, after which they will start their new lives as PADI Open Water SCUBA Instructors – ready to teach the world to dive !! The PADI Instructor Development Course is a natural path of progression in the PADI System of Education for passionate SCUBA divers who want to share their knowledge with others. We will now be offering several PADI Instructor Development Courses throughout the year and would like to invite you to join our next PADI IDC or join of our popular profressional SCUBA diving internships here in Malapascua Island in the beautiful Philippines. Take your passion for diving to the professional level – live the diving dream! Email us to ‘Go Pro’ with Thresher Shark Divers.